Agapanthus Storm Cloud is tall and dark blue. Flower stalks can be as much as 5 feet tall with close to 100 flowers per head. Agapanthus Storm Cloud blooms midsummer. The Lilly of the Nile common name is entertaining as the plants came from South Africa. Agapanthus Storm Clound blooms in full sun to fairly dark shade. Agapanthus grows best in a moderately moist garden but will survive a pretty brutal drought, looking a bit shabby, but recovering nicely. Agapanthus Storm Cloud is winter hardy into the low 20's, foliage is damaged in the high 20's. The blue flowers of Agapanthus Storm Cloud are popular with Swallowtail Butterflies and this Allen's Hummingbird. 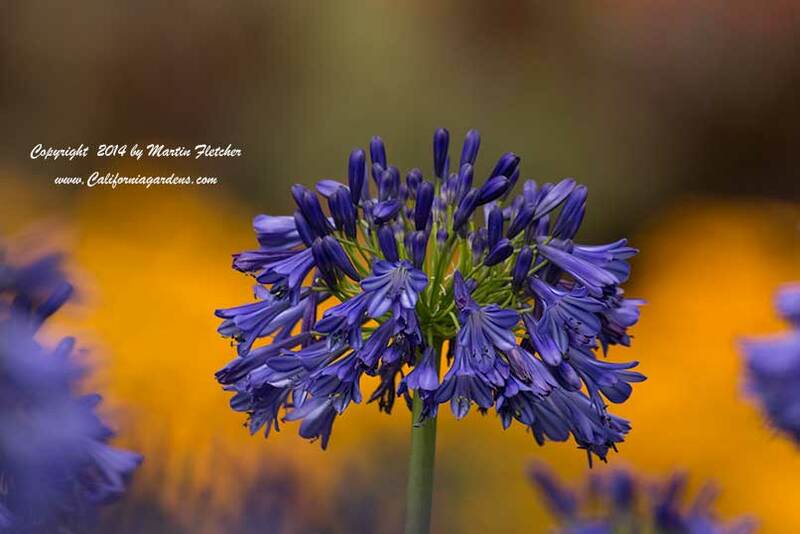 Agapanthus is a great addition to the Hummingbird Garden. Agapanthus is toxic to people if ingested. Agapanthus Storm Cloud the Storm Cloud Lily of the Nile blooms with a haze of orange flowers in the background. High resolution photos are part of our garden image collection. 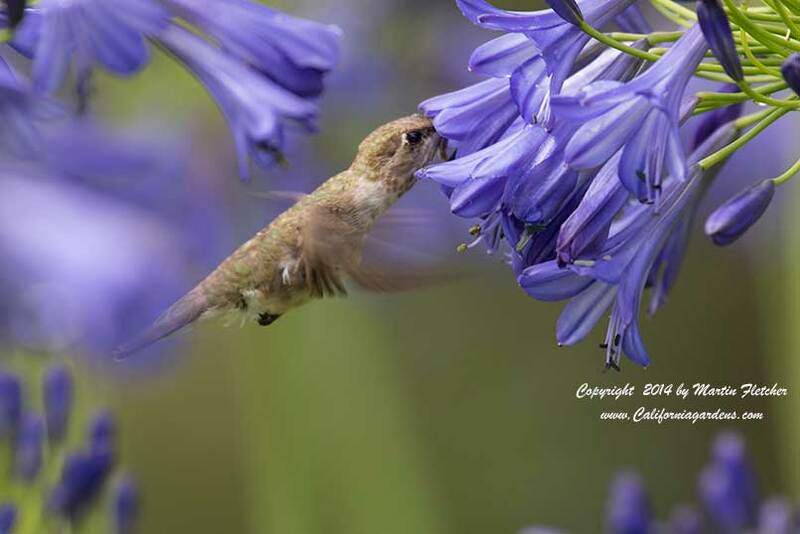 A female Allen's Hummingbird visits Agapanthus Storm Cloud flowers.